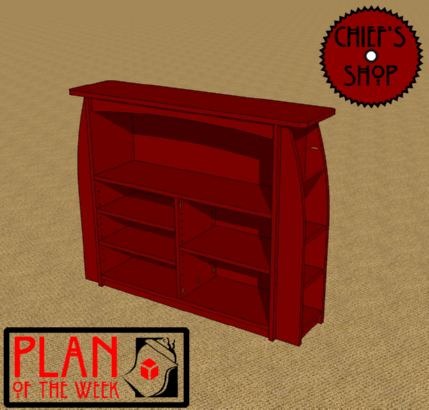 The Chief’s Shop Bookcase features adjustable shelves in the main body along with smaller shelves on the end. It also offers a small magazine rack above the end shelves. This plan is much more detailed than previous plans of the week (18 pages), plus I’ve included something I’ve avoided for a long time – cost estimates. HOWEVER, I’m only including a cost estimate for lumber. The range, depending on what you use, is $50 to $160. My usual tool suspects are needed to complete it – table saw, miter saw, jigsaw, drill driver, and Kreg Jig.